This boutique hotel comes with fresh New England décor and a restaurant overlooking a sandy beach (so you can keep an eye on the kids playing while you enjoy lunch). 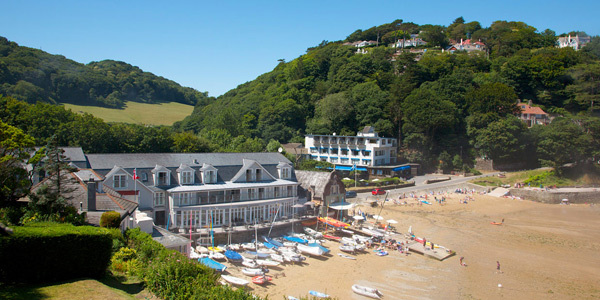 The views stretch across the Salcombe estuary, and there’s heaps for outdoorsy kids to get stuck into, including oceans of watersports (there’s a sailing school next door). 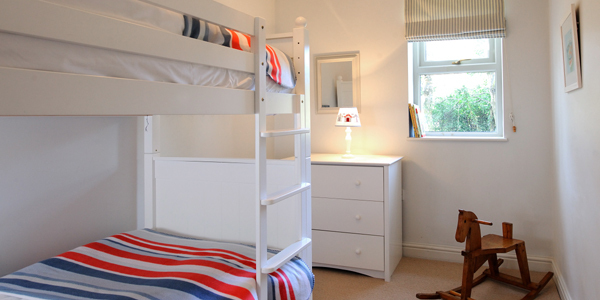 The 5 Beach Suite apartments are ideal for families: each sleeps up to 6 plus a baby, with 2 bedrooms (a double and a twin), a fully equipped kitchen for whipping up light meals, and a sofabed in the living room. This 13th-century fortified village has been reimagined as a cluster of boutique dwellings that work for all sizes and shapes of family. Five self-catering apartments sleep 5-8, and there’s also a 4-bedroom farmhouse that can hold up to 10. In addition, there are B&B rooms which would work for grandparents, and the restaurant is open to all guests for lunch and dinner. Kids can channel fairy-tale fantasies in the maze of medieval streets, there are mountain bikes to hire, and an 18-metre outdoor pool with stunning views sits just outside the walls. A near-perfect set-up for families looking for an exotic adventure (the souks of the Medina are a mere 15 minutes away), this gorgeous retreat has a trio of large 2-storey villas within its 3.5 acres of flowering grounds. 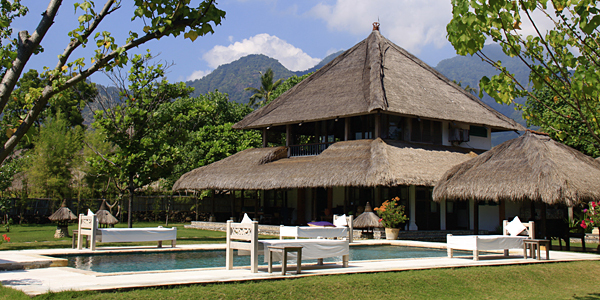 Each has a private garden and spacious, richly decorated interiors that sleep 6-8 apiece. The grounds also house a swimming pool with a shallow end, a small playground, a menagerie of animals to admire (from a donkey to peacocks), and a tennis court and ping-pong to amuse. And the owners define convivial and welcoming. 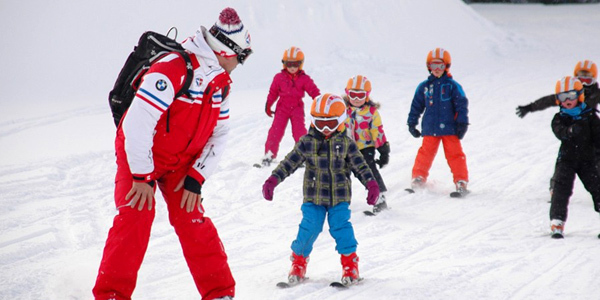 Ski holidays are a must-have annual fixture for some families. We heartily recommend this chic ski-in, ski-out hotel in the Trois Vallées for its superb setting beside slopes that are ideal for beginners and children, for its excellent restaurant with a kids’ menu, and for its handy range of accommodation options. The 8 family rooms (each with a double bedroom and a bunkroom) hold up to 5, while the 6 apartment-like lofts sleep up to 8 in 2-3 bedrooms; the latter also have full kitchens for those wishing to self-cater. Bigger family parties can book one of the lodges a little further up the piste, which accommodate 10-16 and come with luxurious additions such as hot tubs and saunas. These enchanting beachside villas are perfect for adventurous kids, for frazzled parents, and for anyone seeking oodles of space, laid-back luxury and unpretentious shabby-chic décor. The largest two are split-level spaces that sleep up to 6 in 2-3 bedrooms, and all have private pools. 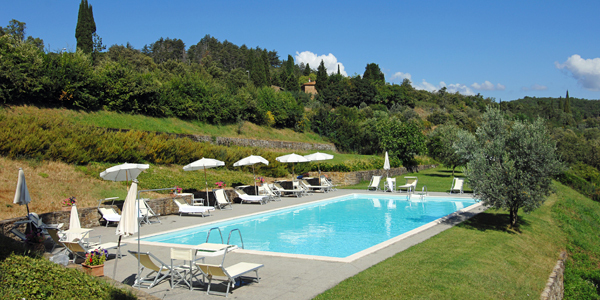 Children will enjoy the outdoor bathrooms and the gardens, and there’s a great kids’ menu in the restaurant. Draws nearby include an exciting black-sand beach, a volcano and a rainforest to explore, and plenty of watersports and boat trips. Head to this welcoming retreat in the hills for relaxation, unspoilt countryside and great-value accommodation. 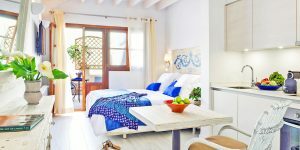 There are 4 split-level villas with a double bedroom on a mezzanine, a living room with sofabeds, a kitchen and a private deck; all can sleep up to 6. 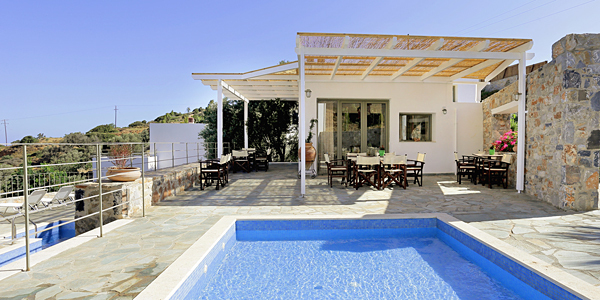 The property also has a pool, and breakfast and dinner are on offer if self-catering sounds like a chore. What’s more, you’re only 10 minutes from the beach. If taking the family to Vietnam for the trip of a lifetime, be sure to stay at this super-cool design hotel – not just for its reflecting infinity pool overlooking the ocean, but also for the effortlessly elegant Pool Villas with their outdoor showers, eggshell baths, private pools and tented beds. Many can hold 6-9, and a couple can accommodate even larger parties. The hotel is perfectly placed for exploring UNESCO-listed Hoi An, and treats on site include an extensive breakfast buffet, an overwater spa and a private beach with a restaurant. 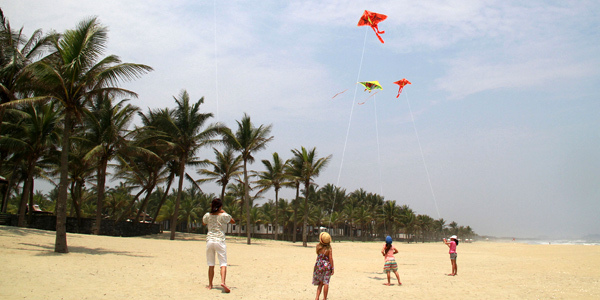 There are terrific facilities for kids, too (the hotel is considered the best in Vietnam for families), including a games room, a sports complex, kids’ and teens’ clubs, and locally inspired activities such as kite-making and painting conical hats. Sheer bliss! 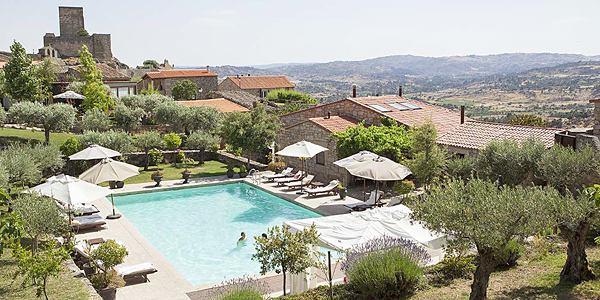 Close to the Spanish border in northeast Portugal is a National Heritage-listed hilltop village that has been transformed into a collection of self-catering eco-cabins and granite houses. All can take an extra bed or cot, and 4 of the houses sleep 5-9. You can self-cater if you want, but most guests prefer to dine at the contemporary-styled restaurant for its terrific locally sourced cuisine and excellent wine list. 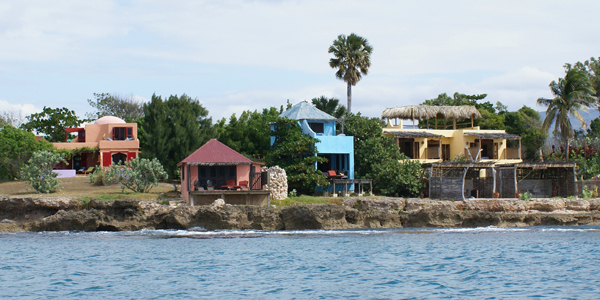 Kids will love the pool and biological gardens, and you can strike out for boat trips and castles nearby. Folk wash up at this welcoming bohemian retreat on the island’s undeveloped southern coast for its unique eclectic style, its laid-back atmosphere and its freeform saltwater swimming pool (with a shallow end). As well as a variety of rooms, there are 10 colourful cottages (on and off site) that can host families of up to 12, some with their own pools. Kids will adore the carefree ambiance, the outdoor playground, the playroom and the games room, and there are special mealtimes, kids’ menus and half-portions in the restaurant. Stunning beaches lie nearby, along with river safaris and fishing trips; there’s even a cascade of waterfalls with swimming pools to discover within a 45-minute drive. Heaven. Conceived especially for families, this friendly seaside-chic apart-hotel has an indoor pool and a safe, sandy beach at hand – perfect no matter what the weather throws at you. There’s also a lovely restaurant (with a kids’ menu), plus gardens to frolic in, a playground and playroom, even a trampoline. You can borrow masses of gear for babies and toddlers, and kayaking, table tennis and fishing will appeal to tweens. Most of the apartments have cool children’s bedrooms and kitchenettes for preparing snacks, and can host families of 5. Browse the rest of our hand-picked Kids Collection for family-friendly boutique hotels.